Are you getting distracted by the outside noise? Are you looking for a cost-effective soundproofing solution? Do you have time to spend in soundproofing your windows? Well, if the answer to all three questions is "Yes" then you have landed on the correct post. This post will be a kind of tutorial for the beginners with whom we will be sharing our secret tips and tricks and also, the easiest way to soundproof your windows or doors. I would suggest you, start a DIY soundproofing project. A few years ago, I started a DIY project and, that turned out to be my best professional decision I had ever made in my life. Currently, I am working as a soundproof consultant and, has helped hundreds of people to achieve their soundproofing goal. I was having trouble with the unwanted noise entering my room from doors and windows. It was affecting my health as I wasn't able to get proper sleep. Slowly and gradually, I started living in stress and anxiety. My performance drastically dropped at my quarterly exams and, it was a wake-up call for me. I had a do and die situation and, so I started searching on the internet for the solution to unwanted noise. Fortunately, I landed on a website which was claiming BIG on soundproofing techniques and, I totally lost into it. I took it as an opportunity to learn and, then execute the theories. By doing so, I would be able to accomplish my target of "soundproofing windows". By the way, I have written an interesting article on "Soundproofing Room" and, I hope you will appreciate my time and effort. A few weeks of hard work helped me to achieve my set goal and, in a cost-effective way. Today, I will be sharing the blueprint of my work and, you can easily succeed by replicating it. Well, I forget to mention the reason for the noise and distraction. There were nightclubs, restaurants right in front of my window and it was really difficult for me to complete any task. I am extremely excited to share my secrets and, I hope it will add value to my readers. Before we move further, allow me to share the link to our recommended products. These products have been tested by us and, we are recommending it to our users only after getting positive feedbacks and ratings from our clients. The windows and the doors are the two openings to the outside world. I am sorry if you have some hidden or underground ways:), we aren't talking about it. As compared to the walls, windows are very thin and, perhaps the weakest spot of the apartment, when it comes to the soundproofing, correct me, if I am wrong? Hence, it's no surprise that the first target of the noise is the windows. As I mentioned earlier, from dog's barking to people yelling, everything was happening right in the front of my windows and, the even worst was the drunken drivers honking their car horns. Needless to say, all these sounds make a perfect recipe for a stress headache. To solve a problem, we have to dive deep and, the success lies in decoding the source of the problem. In my case, the source of noises were the streets and the locality. At times, I blended my thoughts, dreams with the reality to reach a solution, but I was wrong. A close friend of mine suggested me a solution and, it was something I was least interested in. He said me to leave the place and, find a quieter one. I wasn't convinced with him because today "Quietness" is a luxury and, comes with an expensive tag and, by no means, I was ready to take a dig on my pocket. So, I was only left with ONE solution and, it is today's post title. Trust me, the incident has changed my life and, all in a positive sense. When I started decoding the problem, I founded windows to be the weakest link. You may question me, why not doors? Well, the exit door of my apartment wasn't on the street facing side and so, the disturbance was a bit less. Google is our best friend and, like others, I also started searching for the possible solution on the internet and you know I ended up messing everything. My situation was pathetic and, the worst part was that I was more confused than ever. The reality is that today we are living in a world of information overloaded and, it's difficult to narrow down to one. Neither you have to worry nor trouble Google. I will help you with the basics of soundproofing, types of noises, and what worked for me. Before narrowing down to a particular soundproofing solution, it's important for you to have a basic idea of the domain. For example, the soundproofing solution depends upon the types of noises as well as types of windows. Needless to say, I am not a person who loves to spend a lot on these techniques so, you can expect a budget-friendly solution. Sound travels from source to the receptor in all the direction via a medium such as air, water, walls etc. Here, I would like to highlight the fact that only low-frequencies sound waves such as BASS can travel through solid materials. So, when sound travels from source to destination, the sound waves get reflected when it comes in contact with a solid surface such as walls. As a result, it gives birth to problems such as echoes, reverbs, and vibrations. Using sound dampening materials, the bouncing back of sound waves can be minimized as these materials are good at absorbing the waves. Whenever a sound wave bounces back from a solid surface it loses some portion of its energy and, by repeating the process, sound dampening can be successfully achieved. So, you can use soft furniture to absorb the sound waves and, a hard one to bounce it back from where it came. Before we discuss the strategies, it is very important for me to know your lighting preferences. Anyways, I have divided the solution into two cases and, depending upon your requirement, you can select one. Though this option will give you a satisfactory output still I suggest that you consider this option ONLY when you are ready to sacrifice the daily sunlight. I would like to mention that this solution is a trade-off between noise and sunlight. There can be other complication if you are missing the daily sunlight. You can completely block the window by placing the closet, couches, bookshelves and other similar stuff in front of it. So, a large portion of the noise will bounce back into the external environment and, you will only hear a small portion of it. There is one more benefit to it, can you GUESS? Yes, it will help you to reduce the echoes, reverbs, and vibrations caused by airborne noises such as household appliance noises, television and many more. By placing the furniture against the wall, the internal noise will be dampened. If you are NOT ready to compromise with the daylight, then you can place the furniture around the window or next to it. By doing so, you may see a tangible decrease in the noise intensity but, at the same time, you shouldn't expect a miracle to happen. When placed around the window, the furniture will absorb a good portion of sound energy making the sound wave relatively weak. If you are the one who is not very confident on this tip, then I would request you to try before coming to a conclusion and, you know the good news is that the method is totally FREE. In case, you aren't getting any result then, you can move to the next tips. Personally, I don't find any reason that you shouldn't try it. As discussed, we need to close all the gaps and holes so that the air or sound should be prevented from to and fro movement. 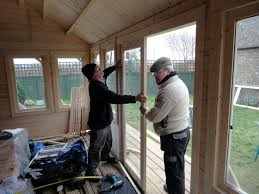 When I was working on the soundproofing windows project closing the gaps really helped me to get some early success and, the best part is that the improvement is tangible and, if you are a soundproof consultant like me, then by performing this step, you will move a step ahead in getting recognition. Trust me, recognition is very important in this business because it is a science and, to be a successful soundproof consultant, you will have to keep learning, innovating, and delivering. Firstly, you have to figure out the small and tiny holes, at times, it may not be aesthetically appealing to your eyes, but it will create more paths for the noise to come in and bother you. Well, by spending a couple of minutes, you will be able to figure out the holes and gaps, near and around the windows, but the problem is to find the cheap and cost-effective materials to fill these gaps. I have tried a lot of soundproofing materials and, I am sharing the one that worked for me. Acoustic Caulk: I am sure that after reading this post, you will take the holes and gaps seriously. Even I never used to give attention to these small holes until I learned the basics of the soundproofing. Since we have already done our homework and, now we have to close these holes and gaps. The acoustic caulk is a permanent solution and, once done properly, you will not have to bother for at least next 3 years and, the good news is that it costs just a couple of dollars. It is highly durable and, a quick fix solution. Before I share the buying link, allow me to highlight the benefits of the acoustic caulk. If you find the information beneficial and, you are looking for the perfect acoustic caulk, then buy the one that I have been using for years. Check the price on the Amazon. Weatherstripping: When we are talking about closing the gaps and holes, then it will be an injustice to my readers if I will not mention the name of weatherstripping. The weatherstrip tapes are well-known for the sound dampening activities. They are made of sound deadening materials such as foam, rubber, and silicon. Do the material of weatherstrip tape really matters? Well, the answer is "Yes". If you are planning to use this tape, then you will have to consider a few things before you take a final decision on the material of the tape. I will not suggest you any weatherstripping tape because your requirement and condition may be different. It's better that you take out some time from your busy schedule and, do some research to find out the one that will really work for you. However, I use a costly product variant and, in case you are looking for a reference, then you can check the product properties on Amazon. This tape is very popular because you can easily cover a window in less than 30 minutes. Clean the window and, the surrounding areas. Well, If you are still confused, then check out our self-explanatory video. Wait! we aren't done, yet. Still, if you have any doubt or query, feel free to ask in the comment section, our team will respond back within 24 hours. Have you ever tried searching soundproof curtains on the internet? Well, if you haven't tried yet, then I will suggest you should try searching once. By doing so, you will be exposed to the popularity of the soundproof curtains in the soundproofing domain. There are lots of good manufacturers and most of them, are doing the job pretty well. I have written a detailed article on the best soundproofing curtains and, it will help you to get an overview of the things that you need to consider while buying a curtain. Let me share with you a trick. Treat this method as a complementary one. The soundproof curtains are great at reducing the echoes and, most importantly, it will give your window a great aesthetical look by covering the entire window. Other than contributing to the soundproofing, it also adds elegance to your home decor. Wait, it also prevents the light from entering your room. I love the soundproof curtains because of two reasons. The first one being the personal one. It has tremendously reduced the echoes and, let me reveal one more secret if your living room is mid-size or even bigger, then using a couple of these curtains will help you against reverbs, vibrations, and echoes. On the professional front, it is one of the initial soundproofing material that I recommend to my clients. You don't need professional help and, by hanging it, you can see the tangible difference. Currently, I am using this curtain and, it fixes my space problem. It helps me to create privacy in minutes. 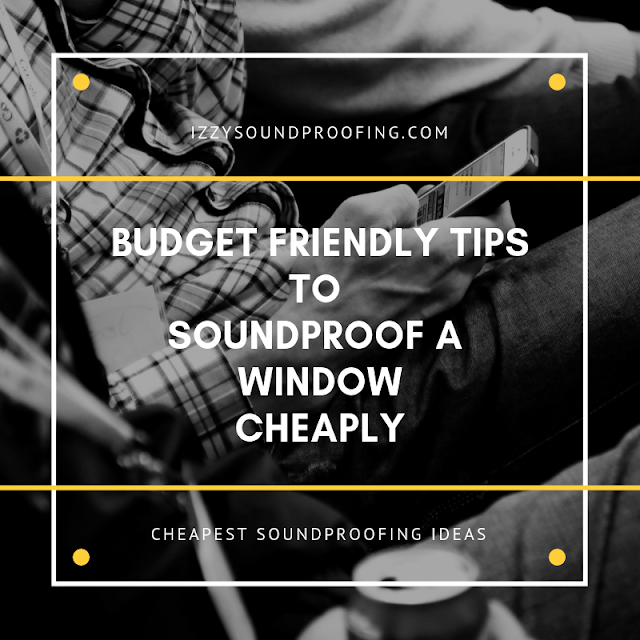 Initially, I didn't try the soundproof blankets, but as my clients started growing, I don't have an option, but to look for feasible soundproofing solutions. I found some mind-boggling reviews about the soundproof blankets and, it increased my interest in this material. I bought a few blankets for myself and, once I was satisfied with its performance, I decided to recommend it to my clients as a complementary solution. Taking into consideration my experience with the soundproof blankets, I can assure you that these blankets are good at reducing the intensity of the noise coming from the window but, they aren't a complete solution for the noise leakage. Are you still struggling with your thought? How can a blanket reduce the noise? If this question is troubling you, then you shouldn't worry at all. I also had the same thought when I was first introduced to the world of soundproof blankets. Allow me to share some interesting facts and figures about the soundproof blankets. These curtains were manufactured with a different motive and, soundproofing wasn't something the manufacturers were looking for. In fact, these blankets were used by packers and movers to wrap up furniture in order to save it from damage during transportation. The reason for these blankets being the first preference of the professional movers is the dense material from which it is made. These materials are miner wool, polyester, fiberglass, and woven cotton. The sole reason for the "moving blanket" becoming popular among the soundproofing enthusiast is the fabrics. If you are going to but the blanket for the first time, then I will recommend you to look for blankets with grommets. It will be easy for you to hang them for the curtain rods or you can use hook also. I will not suggest you to but the cheapest soundproof blankets because they don't have grommets attached to it. Again, if you have already bought a blanket without the grommets, then you can manually install the grommets. Bonus Tip: As an instant solution, you can nail or screw the blanket to the wall. After you have successfully installed the blanket, you can notice the tangible difference that the blanket create in an epigrammatic span of time. If you want to make your DIY soundproofing project memorable, then I will definitely suggest you should try making a window plug. By doing so, you will learn a lot about the soundproofing. To avoid messing up with the windows, the plugs are a great solution. I recommend the window plug for blocking the sound leakage. Wait, if you are thinking it's very costly, then let me tell you, it's highly affordable. Whenever you are in search of quietness and noiseless ambiance, you just have to plug them in a window opening. Once you are done, simply remove the plug. The benefit of this method is that it allows you to control the level of noise in your home environment. You will really enjoy the entire process of buying the materials for constructing the plug. You can install shades and blinds of thick materials to prevent noise from entering your home. The entire process is quick and budget-friendly. In a couple of minutes, you can complete the entire installation process. Using the thick material blinds along with some other methods will give you an optimum result. It doesn't mean that you can't use it alone. Using it solely will definitely reduce the noise, but will not completely dampen it. These blinds will serve as a great way to control the light you let in your room. So, as per your need, you can definitely manage the amount of light that you want in your room. I will suggest you should try a shade that is thicker as compared to the normal ones. Another important thing that I will suggest you should look for is the honeycomb composition. It enhances their capabilities to absorb and dampen sound waves to a great extent. Mostly, I suggest this shade to my clients. I am personally used it on many occasions and, it has always matched to my expectation. The last one was a warm-up DIY soundproofing project and, this one is gonna be full of fun and complication, I am warning you. We will be installing a layer of acrylic or glass over the inside of the window. The selection of the glass or the acrylic material is key to the success. Either you need to choose a laminated glass or an acoustic grade glass for the optimum output else you will NOT find a huge acoustic difference. I am sharing with you a secret which is very important for the expected output. Most people fail in putting the additional layer of glass in the correct way. If any gap is left between the glass layer and the window frame, then all your effort will go into vain. So, in order to achieve this, you will have to install a metal frame on your window. The next step will be to use special magnets that will hold the glass sheet to the frame. Well, if you are confused, then I will suggest you should buy a soundproofing window kit. I personally use a window kit because it makes my work less time-consuming and easy. The kit is exclusively designed for this purpose only. 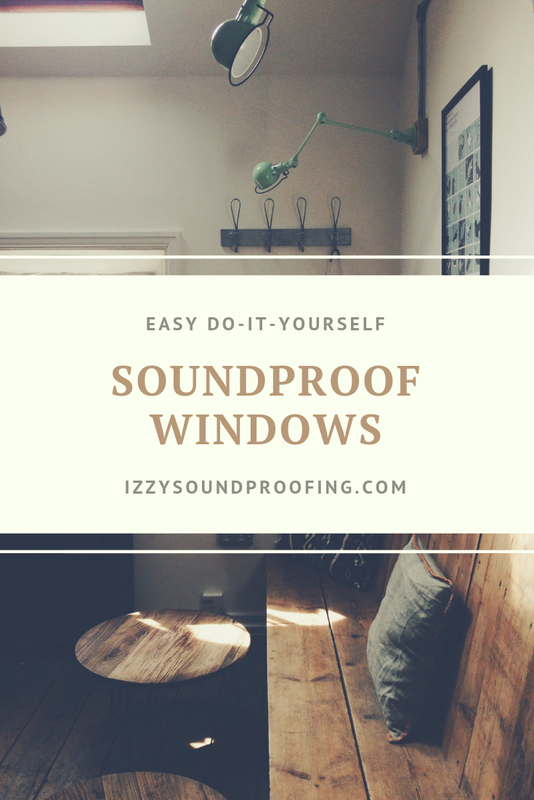 It consists of all the parts necessary to build your customized version of a soundproof window, the only tool that you will need is a screwdriver. Needs a good amount of time for installation. If you have a decent budget, then I will suggest you should try using a professional acoustic panel. This panel is way thicker and bulkier. The greater the mass the better will be the sound deadening capability of this acoustic panel. For example, you can check this product to get an idea. These panels are made up of quilted glass which acts as a sound barrier and, as a result, these sound waves are stopped at the interface. Wait, we aren't finished, yet. These panels have an uneven surface that helps to reduce the echoes and absorbs the sound on both the sides. Since these panels have brass grommets on all the four sides so, the installation will not take more than few minutes. You have to hang the panels on the hooks and, you are done. The closer you will place the panel to the walls the better will be the result. The downside of this method is the cost involved in the process and, the look of the panels. However, it is still a less expensive option as compared to replacing the entire window. Unfortunately, these panels aren't visually appealing. However, I can assure you that they are very effective in blocking the unwanted noise. And if the visual appealing is the reason for not buying these panels, then I have a solution to it. Just buy a soundproof curtain and hang it over these panels. Now, you can enjoy peace aesthetically. Well, a decision to buy a double pan or a triple pane window is a costly affair. It's good to go with this decision only if you are ready to spend a fair amount of money. The double pane windows are highly efficient and, needless to say, that these multi-pane windows will block the noise to a great extent. Trust me, they can even reduce the noise by 50% and more. Another benefit of using the multiple-pane window is that it will keep the room cool in summer and hot in the winter. So, the indirect benefit, you can expect is the reduction in the electric bill. This is not a DIY soundproofing project rather you should take the help of a soundproofing consultant. There shouldn't be any gap or crack around the edge of the window. It will NEVER be a good choice to spend a good amount of money on the project and, finally ending up with a poor installation. Before we move to the last tips, I will suggest you should try these tips in the same order for the optimum result. As a soundproof consultant, I and my team follows the same methodology and, hopefully, it will also work for me. Mostly, I avoid the last option, until and unless, the requirement of my client is very specific and, the client is ready to spend a good amount of money. Trust me, if nothing is working for you, then try this option and, it will definitely give you a great result. If you are getting loads and loads of disturbances even after applying the above-mentioned tips, then the best thing I can suggest you is to block the window completely. Before you take a final call on blocking the window, calculate the pros and cons of it. Remember, once the window is blocked, you can't get to the original structure instantly. Undoubtedly, you will get rid of the unwanted noise. For an apartment, a window is an eye and soul. The window helps you to receive fresh air, sunlight, and of course a great view. If you are ready to sacrifice all these benefits, then you can take a call on blocking the window. Follow these three steps for successful blocking of the window. Remember, to try all the 9 steps in the sequence before opting for this step. Well, I love spending time with myself and, most importantly, asleep with almost negligible external disturbance. For me, there isn't anything better than a night of perfect sleep. I am always proud of the DIY project and, it completely changed my life. I always encourage people around me to try some soundproofing project. If you succeed in the project, you are a winner and if you couldn't complete the project successfully, then you aren't a loser instead you are the one who learned something new. There is nothing like a perfect solution in soundproofing domain. The solution that is perfect for one client may not be perfect for the other client. The soundproofing solution is completely relative and, you should be well aware of your requirement. Most of the time, I have to use a combination of the solution to match to my client expectation. Finally, it all ends on the amount of noise you are dealing with and, the budget you are ready to spend. I will suggest you should try to take some time from your busy schedule and, plan the entire DIY project. Last but not least, I am sure you will be happy with the final outcome in spite of the project that you pick. There is always a trade-off between peace of mind and money and, it's totally up to you which you wanna select.